Toronto: Prime Minister Justin Trudeau fired Canada’s ambassador to China after the envoy said it would be “great” if the US dropped its extradition request for a Chinese tech executive arrested in Canada. McCallum made the remark to the Toronto Star on Friday. That came a day after he issued a statement saying he mis-spoke about the case earlier in the week and regretted saying Meng Wanzhou has a strong case against extradition. The arrest of the daughter of the founder of Huawei Technologies Ltd at Vancouver’s airport on December 1 severely damaged relations between China and Canada. He suggested the case was politically motivated and said the US could make a trade deal with China in which it would no longer seek her extradition, and two Canadian detained in China could then be released. Trudeau had earlier dismissed calls to fire McCallum, but he clearly had enough after the envoy spoke off script again. Trudeau and Foreign Minister Chrystia Freeland have stressed that Canada’s government can’t interfere politically in the case. The leader of the opposition Conservative Party, Andrew Scheer, said McCallum should have been fired days ago because his remarks raised concerns about the politicisation of the Meng case. Scheer said McCallum caused damage to Canada’s reputation by delivering different messages through different media on different days. McCallum’s remarks surprised many and fuelled speculation that Canada might be trying to send a signal to China to reduce tensions. A year ago, McCallum also made controversial comments about how Canada had more in common with China than the United States under Trump. 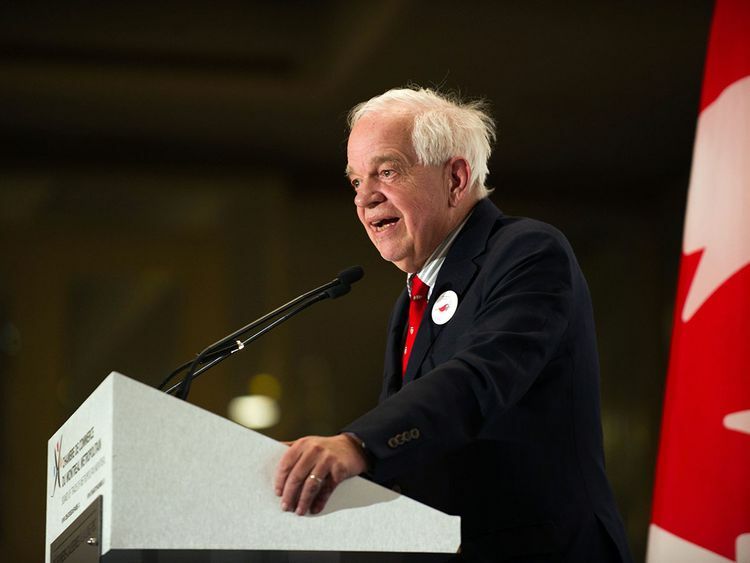 McCallum has strong personal ties to China, and he pointed out to Chinese-language media this week that his wife is of Chinese ethnicity and his three sons have Chinese spouses. Guy Saint-Jacques, a former Canadian ambassador to China, said he felt bad for McCallum but said it was the right thing to do. “What is worse is this is happening in the middle of the crisis when we need all-hands on deck,” Saint-Jacques said. He said the Chinese will now know that McCallum was not speaking for the Canadian government. Robert Bothwell, a professor at the University of Toronto, said it is not an ambassador’s job to speak out of turn. “Of course, McCallum can obviously take refuge in arguing that what he said was largely true, but he can’t escape the fact that it wasn’t his job to say it. It does underline the hazards of sending a politician to do a diplomat’s job,” Bothwell said. Saint-Jacques said he spoke to China’s consul general in Montreal on Thursday who reported that China is furious at Canada for arresting Meng on behalf of the US, which is involved in a trade talks with China. Saint-Jacques said the consul general told him he thinks a Canadian delegation should visit Beijing for talks. Saint-Jacques believes Canada should appoint a special envoy to try to resolve the crisis. Trudeau and Freeland have stressed that Canada has an extradition treaty with the US that it must respect. The White House National Security Council declined to comment on McCallum. Meng is out on bail in Vancouver awaiting her extradition proceedings. The US has until Wednesday to submit paperwork for the extradition request. Huawei has close ties to China’s military and is considered one of the country’s most successful international enterprises.